With BlackBerry struggling to keep up with the rest of the smartphone market, we now have a seemingly legitimate glimpse as to what they plan on doing next. 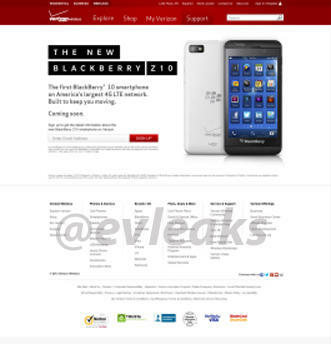 In a leaked screenshot of Verizon’s website, we now know that the Z10 is a touchscreen-only device. In terms of design, it seems to have a hint of iPhone with a little bit of HTC. Whether or not that this will save RIM is still up in the air, but it’s almost time for this long-rumored thing to launch.